This isn't a plug 'n' play tactic, nor a thread on how to set-up the perfect tactic. I've found something that's working for me, and thought I'd share it, along with some general observations about this year's ME, in hopes that it might be useful to some people. This year, I gave LLM a go with my local side, Southend United. 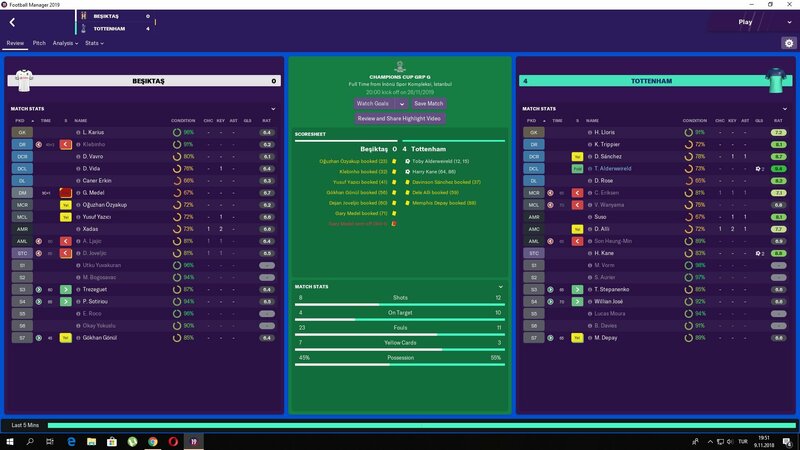 We were promoted to the Championship in season one, finishing 2nd with 92 points while playing a safe, possession-hungry 4-1-4-1 (with an LM and RM instead of an RW or LW). In the Championship, we reached the play-offs using a 4-4-1-1 or 4-2-3-1 and were promoted to the Premier League. Our first season in the Premier League saw us finish 7th and enter the Europa League, and we followed that up with a 6th placed finished in season four. It's in these two seasons that I switched to my preferred formation: the 4-3-3. In my current season, we're top of the league, having won five and drawn two of opening seven games. I have to mention this because in every season bar the first, we've been predicted to go down. This is important because it effects how the opposition play against us. As a so-called "weaker" team, the majority of teams are happy to attack us rather than set-up up in very negative formations. We're not a "top" team by any means yet (even now, my wage bill hasn't even touched a million, while City's is £5m+) and I think we benefit from that. However, I believe some of the principles I apply can be useful for people playing as top teams. You may observe that the roles and instructions resemble the Fluid Counter Attack preset tactic. I used that tactic as a basis, and simply knocked off the instructions I didn't think were necessary or useful for what I wanted. The presets are useful as a starting point, but not necessarily the best tactics for your side. What you have to remember about them is that they're for very specific styles, which require specific types of players you won't always have access to. They use a tonne of instructions, a lot of which you won't ever need to use. So if I could give one tip here: pick a style, then eliminate what you don't need. That aside, while this was inspired by the Fluid Counter Attack, it's not a counter tactic. Counters are certainly a prominent feature, but we actually keep a lot of the ball, have a lot of the play in the opposition half and score team goals. This is because of the Balanced mentality, plus the aggressive nature of the roles in the team. The BBM will attack the penalty area, the RPM will carry the ball and also play near the edge of the box, and there are three forwards in the team. Depending on the match situation, the full backs might also join the attack by making late runs down the sides. Throw in Shorter Passing and Run At Defence, and voila, you get a fairly aggressive, high possession, offensive approach, even with a weaker team. However, while we keep the ball, I didn't want to kill the direct ball forward. Hence, I don't use Play Out of Defence, Work Ball Into Box or Slower Tempo. These instructions encourage slower build-up and players to find close-by options, while ignoring any runs made by your forwards. A lot of my goals come from a lofted pass from midfield to my striker or inside forwards making a run in behind. It's not the "perfect" goal, but it's a potent weapon that makes the tactic more dangerous. The more routes to goal you can engineer, the more effective your tactic is going to be. As evidence of this, my top scorer last season was my B2B midfielder. An important part of this is not stifling the opposition. Players often express frustration about being unable to break teams down when using attacking styles. To avoid this, I like my side to not play high or press, as we want the opposition to spread vertically by attacking us. If we play a high line and press, the opposition are less likely to get up the pitch, and are therefore less likely to leave space for us to exploit on counters. Instead, we "get stuck in", which is a risk/reward approach that encourages players to put their foot in at the expense of giving up more fouls and picking up more cards. I accept these risks as winning the ball back is the first step to successful counter attacks, and I dislike a passive, stand-off approach as it forces my side deep and hands the initiative to the opposition. The in-game text for Positive claims that it's a good mentality for a team who are usually favourites, as it encourages control in the game while not leaving yourself exposed for counters. Sounds perfect, doesn't it? No wonder a lot of people like to use it. Positive encourages your team to take more risks, but not so many risks as to be reckless. However, what you might not realise is that this "risk" translates into a more aggressive style than the text suggests. In fact, one of the reasons they changed the name from "Control" to "Positive" was to communicate this fact. It's less a control-the-game style as it as a bang-on-the-door-until-you-score style. In the ME, a positive style will see a lot of passes being played forward. You'll see players ignore good passing options to get the ball up to a striker, even if the striker isn't in the best position to receive a pass. You'll see a lot more dribbling. And, more annoyingly, you'll see a lot of attempts from distance. Unsurprisingly, a higher risk style encourages your players to take riskier actions with the ball - in other words, dribbling, long shots and difficult passes. This can work. In fact, you'll probably win more with it than without it. However, you'll also see a lot of wastage. One sign that my team is wasting a lot is a high possession + high shot count. You know those games where you have 60% of the ball and 30+ shots vs the opposition's three? On the surface, that seems like you're dominating. In reality, it means a lot of shots taken from bad positions, and a sign your attack isn't functioning as well as it could be. It's for this reason that I vastly prefer Balanced. Balanced advertises itself as a watchful approach that is neither risky or conservative. However, consider the effect that roles will have on your tactic. If you have a lot of attack duties, or forwards, or playmakers - basically any role that encourages players to attack or create - your side will take risks. It's an inherent part of their role on the pitch. You don't need to tell your playmaker to take more risks because that's already part of his job. Balanced sees my shot count fall between 15-25, depending on the opposition, but the quality of shots go up, as my players take a more measured approach to chance creation. Less throwing it forward, more working it around and picking out the player in space. I've had success with a smaller team tipped for relegation and big teams expected to dominate using a Balanced mentality. It's only in certain situations that I'd need to take more or less risks. Every other time, I let the roles, duties and my players do the heavy lifting. Having said that, long shots are still a thing. They'll never go away, and that's not a bad thing. Long shots can be the difference between a frustrating 0-0 and a deserved 1-0. Attacking players will take shots from distance if the space opens up, even with good passing options. That's just how football, and how FM especially, is. So I don't actively discourage long range shooting. I do, however, use it a sign of whether my approach is working or not. If we're creating good chances on top of long shots, I leave it. But if we're only shooting from distance and not making a good chance, it's a sign I need to change something, be that the players or the roles. The thing about football is that even a good tactic that works 90% of the time will still have problems in some games. There's no shame in changing it up when the situation calls for it. This isn't a perfect approach, and I'm sure there are things I can iron out and change. However, I hope some people come away from this with a few ideas in mind. To finish, I just wanted to share my general approach to things. Keep it as simple as possible. Before the introduction of the three phases, my tactics only ever had 2-4 instructions. I did this because it placed more emphasis on the roles in the team and how they synergise with one another, something you might not notice if you have 10 TIs to sort through. For example, if my striker isn't getting enough chances, I would know it's down to the roles in the team, and not because I have Work Ball Into Box/Shoot More/Slower Tempo/etc. ticked. Sign players for the roles I use. Sounds obvious, but it cannot be understated how important it is. It took three seasons with Southend for me to get the right players for the style I wanted to play. Until then, I had to adapt to what I had. It's no shame to adjust your approach based on the players at your disposal. Even the most logical tactic can fail if your players don't have the right attributes to carry out your instructions. Adapt when I need to. Every game is different, and the opposition carry threats you have to be aware of. Losing a game won't necessarily be a sign of a flawed tactic, but a sign that i made the wrong in-game decisions or didn't give enough attention to a specific threat. Good post, sensible system and look at things. Very nice post! Liked the way you talked about your tactics! In FM18 I couldn't make a 4-3-3 work, so I preferred a 4-2-3-1. 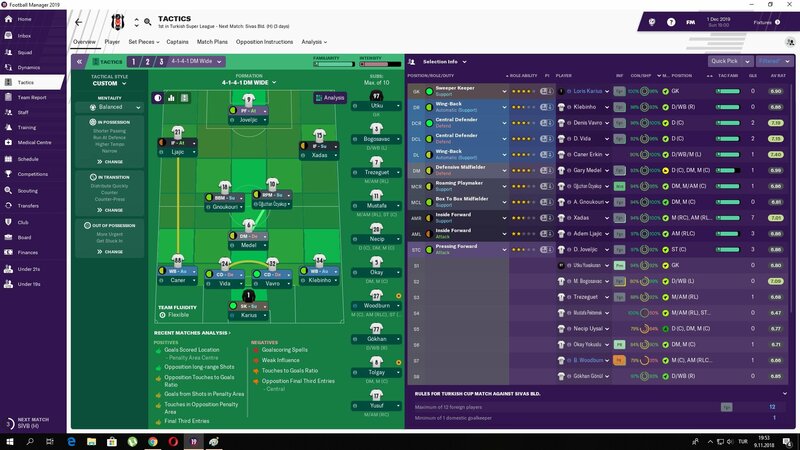 But this post inspired me to give it another try in FM19! You convinced me to use the balanced mentality and you use some interesting roles in midfield. The only thing I'm disappointed about is the lack of goals from your striker (as your B2B is your topscorer). I really want to make a goalgetter, so not sure if these midfield roles would support this! Very nice post indeed. Well written and thought out. I like your thinking and how you explain your decisions. Good advices also. 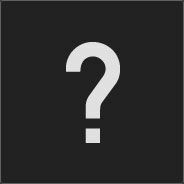 It would be nice to see you follow up with more about the players you were looking for and found. What was your criteria for each position/role and why, etc.? It's true that my strikers tend not to score a lot, though I should also mention I haven't had a high quality striker yet. My first choice striker scored 18 goals last season, but 11 of them came in the Europa League against sub-par opposition. My B2B midfielder scored 14 n all comps, but 12 in the league and only one in Europe (which is an interesting contrast that perhaps shows PL defenders are better at limiting space for my striker, hence a larger reliance on midfielders for goals). The striker role in this set-up is largely a unselfish one. His job is to create space and bring runners into play when we're in possession, and to run channels and be an outlet for counters in transition - neither are which put him positions to be prolific. It's a set-up designed with multiple scoring threats in mind. However, he does get chances, and I think a good player in this position will score. This season he has 3 in 7 while my IF(A) has 4 in 7. It's a balancing act. I reckon if I changed his role to Complete Forward (A) he'd probably score more, but I'd see less goals else where and become a little more one dimensional. I don't quite have the quality to pull that off just yet. To begin with, my priority was simply signing better players that I had since we had one of the weakest squads in the Championship and then in the Premier League. I made an effort to improve the technical quality of the squad, but it wasn't easy with a £300,000 transfer budget and a low wage budget. It wasn't until we hit the Premier League that I was able to target more specific types of players. Goalkeeper: Preferably has good distribution, but not essential. Centre Backs: Again, preferably have good passing skills, but primarily need to be strong defenders as they'll be getting through a lot of work in games. As we don't play a high line, there's less importance on pace, which opens up my options. Finding a quick, strong, defender with good passing skills is tough for a club in our position. Full Backs: Have to have an all-round skill-set with good pace and stamina. The Automatic duty means they'll be contributing to the attack, so having full backs with good Dribbling, Crossing and Passing is a big help. Defensive Midfielder: Historically, I've preferred a DLP, but for this set-up a good old-fashioned destroyer is good enough. Needs good strength, stamina, positioning, anticipation, and tackling as a bare minimum. Good passing (anything in the 13-15 range) is also a plus. B2B Midfielder: Strong physical attributes and work-rate make this role. Acceleration, Stamina, Work Rate, and Off The Ball are the main attributes. A decently rounded set of technical attributes helps, but deficiencies in some areas aren't necessarily crippling. I've discovered recently that this role can be very potent with a powerful dribbler in there (who I'll post a screenshot of later). Roaming Playmaker: Acceleration, Dribbling and Work Rate + the usual playmaking attributes. The second most demanding role in the tactic and one of the hardest to buy for. Inside Forward (S): Dribbling, First Touch, Technique, Passing, Flair, Vision, Acceleration and Agility are the most important attributes. If you can find someone with good shooting as well, then great, but this role is closer to a wide playmaker role than it is to a wide forward role, in practice. Inside Forward (A): The second striker of the team. Less emphasis on passing and vision, more on finishing, anticipation, off the ball and composure. Complete Forward (S): The most demanding role and the hardest to buy for without some major cash. Needs to be strong, decently quick, have a good first touch, decent vision and work rate plus the usual striker skills. Although we have "Get Stuck In" on, good tacklers aren't essential. Work Rate and Stamina are more important for an aggressive defence. The BBM and RPM will be doing a lot of tracking back and countering on top of their usual duties, so they need to be strong runners. Here are some screenshots of some key players and stats. I notice a trend in your criteria. In defense (back 5) you want strong players. In attack (front 5) you want quick players. Makes sense to me. Who is your primary RPM and what does he look like? Who gets the most goals in your team? IF-A? RPM is MCL and BBM is MCR? Or the opposite? I'm going to try this in my Valladolid save. What individual player instructions are you using if any? Also what duty do you have the sweeper keeper on defend, support or attack? Hello. Thanks for tactic , my team is playing a lovely football with good movement and enjoying them game when i arrive home from work. What do you suggest when playing big teams like tottenham ? 3 of their goals come from corners but my team was so desperate on home game. Thanks in advance. A quick update on my progress with this. We're in December in 2022, having only played 15 league games because of the World Cup. My side sit 3rd, having only lost once all season (a 3-0 hammering away to Arsenal). Apart from that defeat, we haven't conceded much, been dangerous on counters and have found various ways to goal. So this approach is still ticking a lot of boxes. That said, there are areas I want to improve. My IF(A) and centre forward are bother averaging between 6.8 and 6.9, which is okay, but not outstanding. The IF(A) has seven goals in the league, while the striker has 5. At their current rates, they might breach double figures, but I'm not expecting anything amazing. As the two main goal threats in the team, I feel like they should be scoring more. I'm not entirely sure why they're not posing more of a threat yet. In general, it seems quite difficult to get an IF(A) scoring at a high rate. I looked around at the best in the position, and only the truly world class players were putting up good numbers. Even guys like Salah have poor scoring records. It's making me question if sacrificing my striker is worth it in the long run. I think him being on a support role is probably the main reason why he's not scoring at a better rate. That, and the set-up encourages narrow play and relies on the full backs as the only source of crosses. So, I'm debating changing one of the IF roles to a winger and seeing if that helps. My RPM at the moment is Morgan Sanson, who I got from Marseille for a modest price. Not the perfect fit for the role, but he's a mobile midfielder with strong work rate and creative skills. He's doing a decent job in the role. Currently, my IF(A) is my top scorer, closely followed by the CF(S). The rest of the midfield contribute a decent amount as well. I haven't seen any noticeable difference in which way round I play the RPM and BBM. No PIs. Sweeper Keeper current has a defend duty. I've found games against the top English sides very difficult, even at home. I wish I could tell you what the solution is, but I'm still finding it myself. Sometimes, the talent gap is too big to overcome. However, I'll at least share some ideas. A couple of times, I've been fined for picking up too many yellow cards. "Get Stuck In" doesn't seem as useful against top sides, so next time I may remove it. That could encourage the team to stay on their feet and keep their shape more, which in turn might stiffen the defence up. I've had decent success in flipping the midfield triangle when trying to create more chances. The DM(d) can be limiting, so either changing his role or bringing on another creator might help. I don't have the players to do this, but changing one of the IF roles to a winger role might also help. Apart from those ideas, don't be afraid to drop the mentality down to Cautious if you're coming under pressure. Sometimes you just need to ride out a storm and Cautious can improve ball retention. Great post.. very similiar experience as you when I sat down to create the 1958 Brazil World Cup team. Only thing I did was go with a medium block as it represented how they played a bit more. In my opinion balanced does a much better job of determining when to counter vs. keep the ball. Reminds me very much like playing on Attacking with the Retain Possession TI in FM 18. I have no idea who Morgan Sanson is and what he looks like attribute-wise. Can you post a screenshot of him? What do you do with training? Inspired by this thread I decided to take closer look to my tactics yesterday. As a background I started save with Catania. 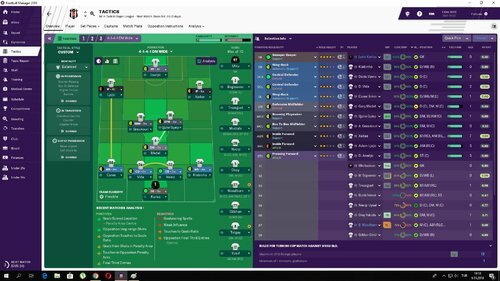 For first season I picked up gegenpress 4-1-4-1 and did only minor tweaks to it based on my assistant manager's instructions. It worked pretty well as Catania have great roster but the tactic generated lots of wasted opportunities and not so many real chances. My strikers were almost useless there and my top scorer was midfield player with nice long shots attribute. I promoted easily but at the second season in Serie B everything changed. Old tactic was still decent but I usually ended up losing or getting draw with no chances or lots of half opportunities. I won only 2 matches which wouldn't be enough to avoid relegation. Even though first match after changes ended up 1-1 I saw lots of positive. Team created much better chances but many times they still ended up to rushy shot when passing would have been an option. Also the team was pressing up too much up leaving gaps to midfield and opponent scored from counter-attack. Next I slowed up tempo little bit and lowered defensive and attacking lines few notches. The idea was to start pressing in the midfield and not in opponent area while keeping defenders more aware of counter attacks. After the latest changes I have 4 impressive wins (4-1, 4-1, 3-2 and 1-0). In fact in many games opponents don't even have many chances. Now our team is playing a football I wanted them to play in the first place. The philosophy is still the same but things are just done differently. It's not beautiful but it's effective and I am pretty sure that I will avoid relegation this season! This is a great tactic, thanks! I've only conceded 13 goals in my first 34 Premiership games, and sit 2 points ahead of Celtic at the top of the table. I don't have a true inside forward for the right side, so I use a winger there on support, and he's had a good year. I've gotten more from my single striker using him as a CF (A) than I have from any other single striker tactic that I've tried thus far in FM19. I'm still having a bit of trouble scoring, though. I flip the midfield triangle for most games to try and put the pressure on. My question is what role do you use for your AMC? And do you change any of the other players' roles? Thanks. I'm pleased that it's working out for you. 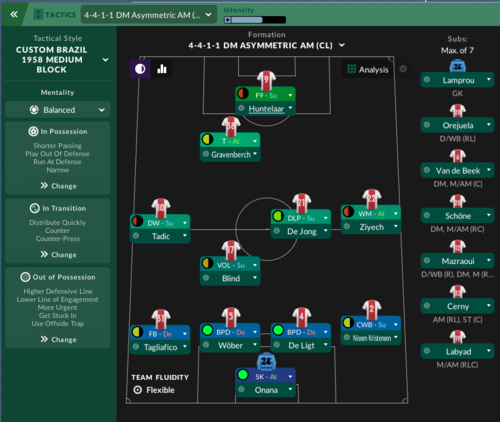 As for what role I use for AMC: it depends on the match situation and what players are available to me, but my objective usually is to avoid that classic 4-2-3-1 issue of having four players crowd the same space. I typically go with Attacking Midfielder (S) while changing my IF(S) or CF(S) into an attack role. However, sometimes I like to move my IF(A) into an AMC spot (since he's accomplished there) and play him as a Attacking Midfielder (A) or even Shadow Striker, while changing the IF(A) to an IF(S). This effectively makes a 4-4-2 without playing two out-right strikers (which I've always been reluctant to do because it gives up midfield numbers). On a related note: I've poked around the bugs forum and have seen that this ME is having issues with the movement of strikers and inside forwards. While I'm not certain about this, it's possible that some of the goalscoring issues are being caused by that, rather than anything tactical. Good stuff, thanks. 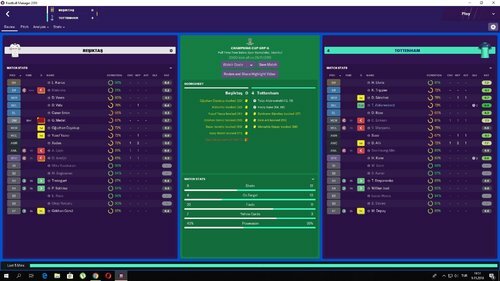 I finished my season last night and won the Premiership by 4 points. I'm thinking about going after a true inside forward for the right side, so I don't have to use a winger. My striker ended up having a good year. I believe he had 18 or 20 league goals, and he went through a big slump when he broke his lower arm and I played him with protective gear. He would probably have had more if not for that injury. @JEinchy What do you do with training? Btw, there is definitely a problem in the ME with movement of attacking players in the final third. Hopefully SI are working to resolve some of the issues.